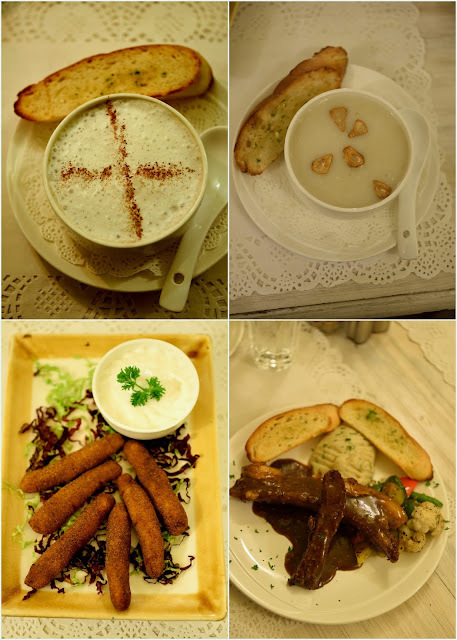 Eating out in Delhi can be a tough decision sometimes if you want to have a quite comforting meal in a cozy place. I mean there are so many fine dining and casual places where you get great food and and ambiance but a quite leisurely dinner is a luxury. And then you find a place that looks too small to be comfortable from outside but once you open the doors you are taken in to a comforting cheerful ambiance. We found Vintage 31 (Cafe and Bistro) in Meherchand market a couple of months ago and have been there a few times since then. We love Meherchand market for being so old world and yet so chic. In the times when the city roads are chaotic and most restaurants located in busy areas are crowded and loud, Vintage 31 comes as a whiff of fresh air. Calm, quite and cozy, comforting home style food, mostly Italian. A great fit for us even though it is a bit of a drive from home, but anything to find some solace other than home. I went there with a friend once and we tried a lot of things apart from the decor and the detailing in every nook and corner. The terrace seating is perfect for winter days and has been done very minimally yet tastefully. We loved the Garlic soup which felt silken smooth and very flavourful and creamy without being heavy. The Almond Coriander soup was earthy, strong and felt little over seasoned, but that day I had a bad throat and it felt really comforting. For starters the stuffed mushroom is very nice. My friend tried the Meatloaf that is served along with mashed potatoes and stir fried vegetables. The meatloaf was nicely meaty and chunky, the accompanying sauce doing justice to the meat loaf slices. Mashed potato could have been better but their garlic bread is nice and crusty. I tried the hot pepper prawns which I think should have been a little more balanced in flavours. It was nice and hot but some balance of flavours would have been really nice. I loved the idea of serving it with sweet potato slices baked with cheese, that balances the hot prawns a bit. The most irresistible main course dish will be the Vintage special stuffed chicken I feel. Creamy cheese stuffed chicken cooked really well may become a comfort meal just like mac and cheese or something as rich and addictive. I am sure this would be hot favourite amongst the youngsters. By the way I see Vintage 31 has become quite popular with youngsters and rightly so. 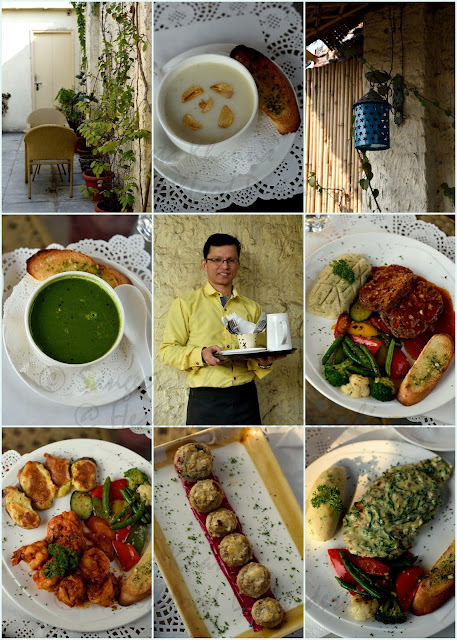 Another time I went with Arvind and we ordered the garlic soup once again as I had loved it the first time. This time the garlic soup was not as creamy and less garlicky. The server took away my soup when I said it is not like the last time and came back with fresh soup which was better. I appreciate such a gesture, personalised attention is a great service one can get at a cafe. We both loved the Mushroom (cappuccino style) soup this time. I found it really homely as I make it myself at home. Homely taste in restaurant food means no nonsense additives, no artificial colours and no fillers to bulk up food. So homely taste is a great test of good food in my humble opinion. Arvind was adamant to order fish fingers with tartar sauce and we had that but it was not my kind of food, even Arvind didn't like it much. There is a reason why husbands should listen to their wives, especially when the wife cooks. We ordered just one main course this time and it was the Pork ribs with honey glaze. The portion sizes are good and after soups and starters one main course is enough for two to share. The honey glazed pork rib was done really well, the sauce quite nice and the meat juicy and nicely fatty. Though I would have preferred a little heat (paprika or chilly) in the sauce, but I was pleased with the overall taste. Sharing desserts is a great idea and you would love the Tiramisu here if you like your Tiramisu a little boozy. Dig deeper, go beyond the creamy (Mascarpone) layer and find the treasure of taste. The food is beautifully presented, home style and delicious. Portion size is good and service excellent. Vintage 31 will be a place we will be definitely going back whenever we need a quite meal outside our home. No wonder we loved it so much, it is a cafe conceptualized and run by a husband and wife team where the husband loves cooking and the wife looks after the decor and business. The whole menu is done by K. D. Singh himself whose dream project it is and his wife Vimi Singh has created the beautiful space. 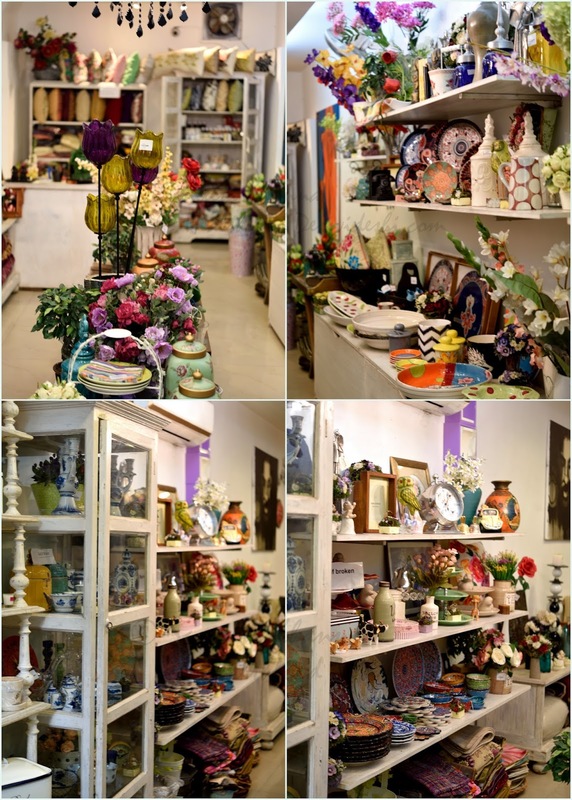 Vimi runs Navya, the decor shop next to the cafe which is a treasure trove of all things beautiful for home and gardens. One more reason for me to go there. Navya is a bit too pricey for me though you will gte something or the other you would love. I did find a few beautiful things that I bought for gifting and for myself too. Thankfully Vintage 31 is not too pricey, a meal would cost about 2,000 for two. Hmmm u come all the way to meharchand market n dont meet me... bad!!! 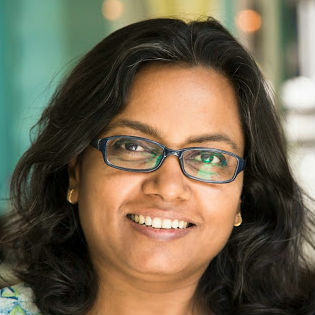 On serious note, i like the decor of vintage 31 whenever i walk past it but never had a meal there... should definitely go... even anasuya was praising it. ha ha yes I know. But you know I remember you every time, and you have been traveling every time I have been there. Must call you next time I am there.